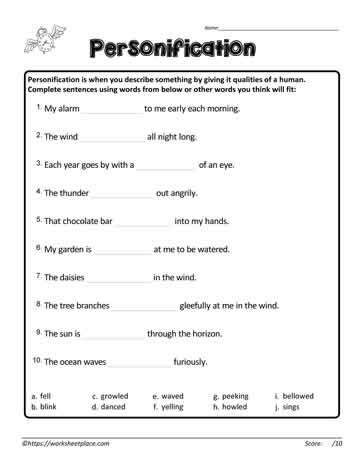 Grade 4 and grade 5 personification worksheets. Personification is an object that takes on a human quality. An example of personification is: the angry hurricane pounced upon the streets sweeping away anything in its way.